Host: Ditrichum heteromallum, Ditrichum spec. Note: The name "dicranellae" refers to the moss Dicranella which was believed to be the host at the time of the original description. 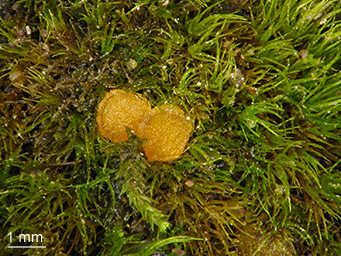 In fact, Dicranella is a common associate of Lamprospora dicranellae in Central Europe. 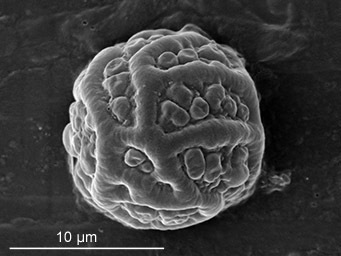 However, the host was found to be Ditrichum (Benkert 2009). Korf, R. P. & Zhuang, W. Y. 1991. 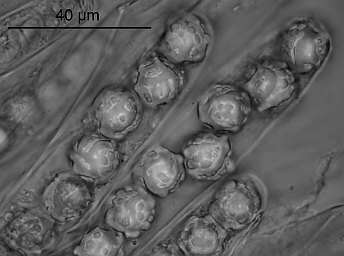 A preliminary discomycete flora of Macaronesia: Part 16, Otideaceae, Scutellinioideae. - Mycotaxon 40: 79-106. Yao, Y. J. & Spooner, B. M. 1995. 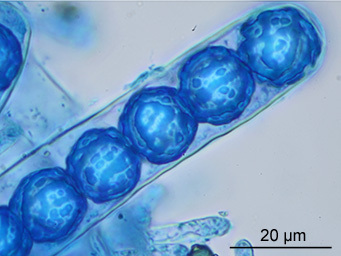 Notes on British species of Lamprospora and Ramsbottomia. - Mycological Research 99: 1521-1524.